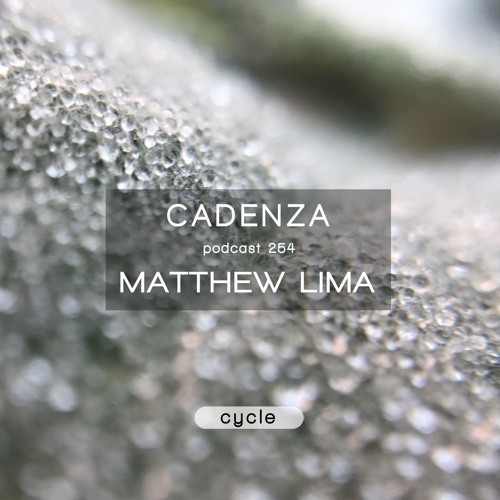 Listen to the Source Mix here https://www.mixcloud.com/CadenzaMusic/cadenza-podcast-254-matthew-lima-source/ Native Peruvian Matthew Lima is joining us for this biweekly edition of our Source to Cycle podcast series. Matthew spent his formative years in Italy and was heavily influenced by the music and cultural scene eventually taking the stage at many of the top clubs all over the country in the early part of the decade. By 2014, his interest had expanded to the production side as well and started working in the studio in a collaboration with Neverdogs and Martin Patino but also began to play more broadly all over Europe and Asia. Matthew has launched his own party series “Naked Mind” based in Milano as well as founded a label Amazing Music Recordings. Please tune in and enjoy two hours of Source to Cycle goodness from Matthew Lima. Love this vibe bro ! kiiled it as you know!!! gr8 set Amico fantastic!!!! Leao - Operetta - thanks mate!